This article aims to share you the best workflow of editing AVCHD/MOV clips from JVC GY-LS300 camera with Final Cut Pro X, Premiere Pro and Avid Media Composer. GY-LS300, an excellent 4K camera released by JVC, is equipped with a 4K Super 35 CMOS sensor and accommodates a wide range of cinema and photographic lenses and adapters for dazzling cinematic effects, capable of recording 4K UHD video in a H264.mov format and HD media in AVCHD.mts format. After recording some stunning AVCHD/MOV footage from JVC GY-LS300, you’re surely interested in the post-production with FCP, Premiere or Avid, etc. For this purpose, this passage intends to provide you of all with useful tips and tricks when working with such popular editing software. As you see, though so outstanding as its video quality, the JVC GY-LS300 AVCHD.mts or 4K MOV clips, due to the incompatibility of its video codec, seems to work unfriendly with FCP, Premiere or Avid. Based on our multiple testing, we figure out the best workaround is to convert the JVC GY-LS300 AVCHD/MOV to Apple ProRes, MPEG-2, Apple Intermediate Codec, which ensures the maximum editing efficiency and quality when working with FCP, Premiere and Avid. In fact, its process is not hard as you imagine and can done well with the help of Brorsoft Video Converter for Mac. As its name implies, it boasts the capacity of encoding/re-encoding a great range of types of video formats like 4K H.264(MOV/MP4), AVCHD, XAVC/XAVC S, MTS, MXF, etc footage for smoothly importing and editing in various non-linear editing systems (NLE), including Adobe Premiere Pro, Avid Media Composer, Final Cut Pro as well as iMovie, FCE and more. If you are working on Windows(Windows 10 included), please turn to Brorsoft Video Converter. Download the right tool and start the 4K video conversion. Run the program you just set up. You can hit Add button to import the video files from JVC GY-LS300 4K camcorder or hard drive to the converter. a. For editing JVC GY-LS300 AVCHD/MOV in FCP, select Final Cut Pro > Apple ProRes 422 (*.mov) as the output format. b. 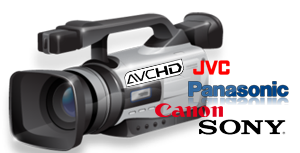 To solve JVC GY-LS300 AVCHD/MOV and Adobe Premiere Pro incompatibility issues, please select Adobe Premiere/Sony Vegas > MPEG-2 (*.mpg) as the target format. c. To import JVC GY-LS300 AVCHD/MOV footage into Avid MC, choose Avid Media Composer > Avid DNxHD(*.mov) as the target format. In case the default settings do not fit your requirement, you can click “Settings” button and enter “Profile Settings” panel to adjust video size, bit rate, frame rate, sample rate and audio channels. You can keep original 4K resolution or adjust video size to 2K or 1080 full HD as you need. When ready, click ‘Convert’ to start format conversion. As soon as the conversion is complete, you can click ‘Open Folder’ button to get the exported MOV files for use in Avid program, Adobe Premiere or FCP with optimum performance. Nothing could be simpler or more immediate.